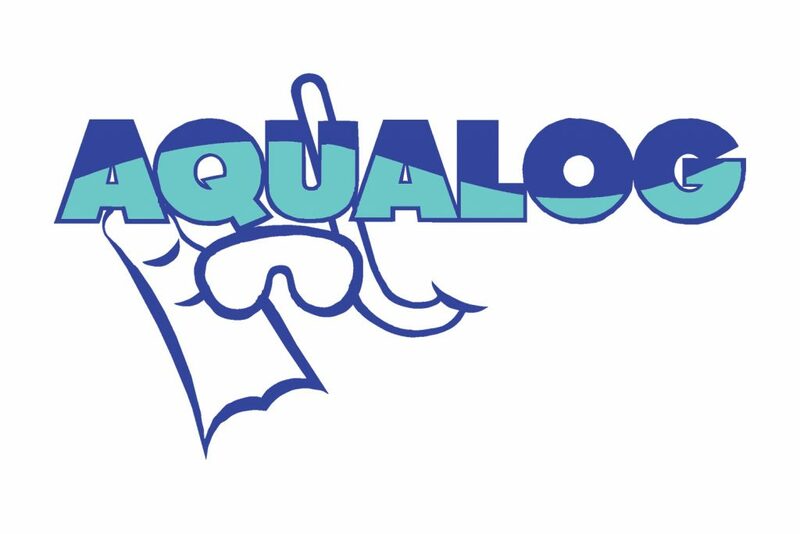 1997 — Aqualog Magazine was the first dive magazine published exclusively online. 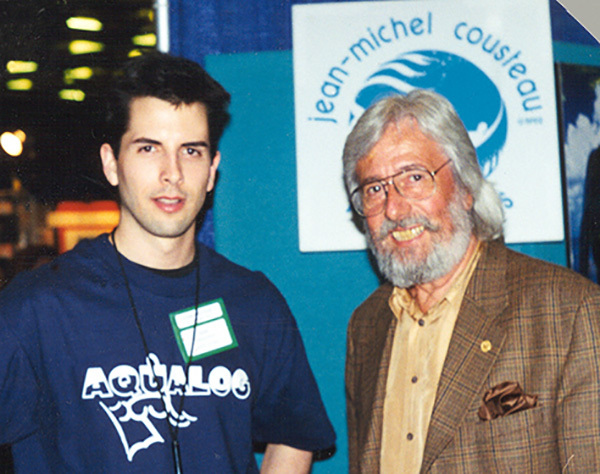 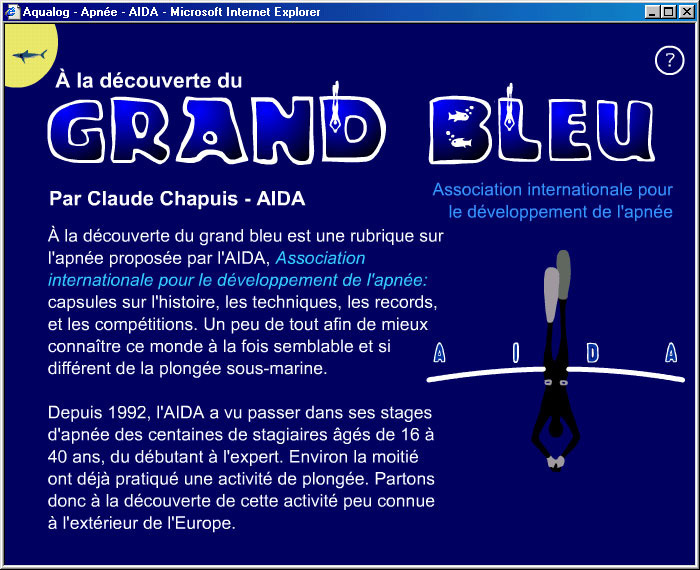 Based in Montréal, Québec, and offered in English and in French, the magazine was operated by Jeffrey Gallant and Marc-André Saint-Laurent. 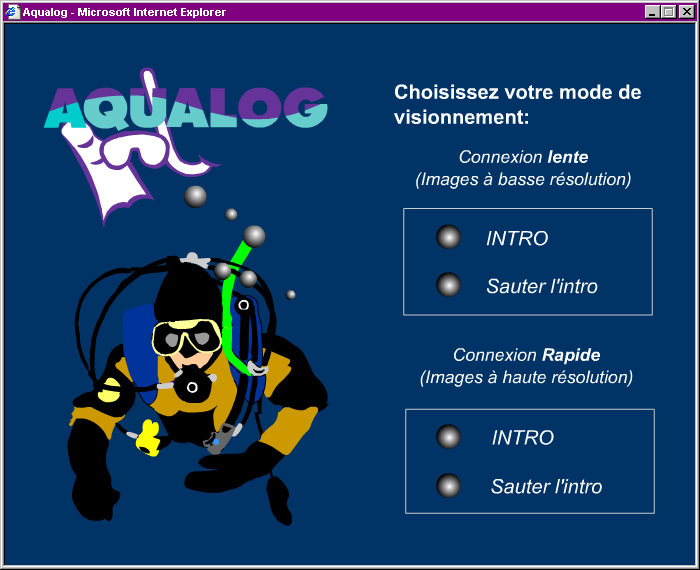 Aqualog ceased publishing in 2005 in order to make way for the Diving Almanac & Book of Records.